A haunted house can be one that people believe to be inhabited by disembodied spirits, however, during Halloween time there are many haunted house attractions setup just for the mere pleasure of being scared out of your wits. Jump scared tactics used in haunted houses can make your adrenaline rush as you jump in reaction to being freaked out while waltzing through a haunted house setup. While some will avoid haunted houses, others are looking for haunted houses around Cincinnati to get out and enjoy the Halloween season with family or friends. Mt Healthy Haunted Hall – donate a canned good item and receive $2 off the general admission of $10. The 2016 season opens on September 30 and is functioning every Friday, Saturday and Sunday through October 31st. Hours of operations are 8pm – 11pm on Friday & Saturday with hours being 7pm – 9pm on Sunday. The USS Nightmare – The USS Nightmare is the resurrection of William S. Mitchell. Rather than a haunted house, this boat will leave you shaking in your boots. Hop on the tour between 7pm and 1am Friday & Saturday through November 5th for a ticket price of $28 purchased online or $30 at the door. This looks more suited for kid’s ages 15+, but call ahead to ask any questions. Wilmington Haunted Hollow Ride – enjoy 4 different attractions to include a haunted ride, corn maze, hotel and haunted prison. This setup is rated very scary so get ready to have the scare of your life for just $25 for all four attractions or $10 – $12 for individual haunted attractions. Opens September 17th and runs every Friday & Saturday through September 29th. Land of Illusion – opens September 9th and runs 8pm to 2am every Friday & Saturday through October 30th. There are five attractions at Land of Illusion and many ticket pricing options, check out the concerts being held this year at Land of Illusion too, so you get more for your money. With four haunted houses and one haunted trail, you are sure to get your spook on here! The Dent School House – this is stated to be Cincinnati’s most haunted house ever, running from September 9th through November 30th you are sure to enjoy spooks for just $20 and up depending upon the package you select. Get your scare on by partaking in various events during the Halloween season, check out their website to see which attraction will scare you the most. 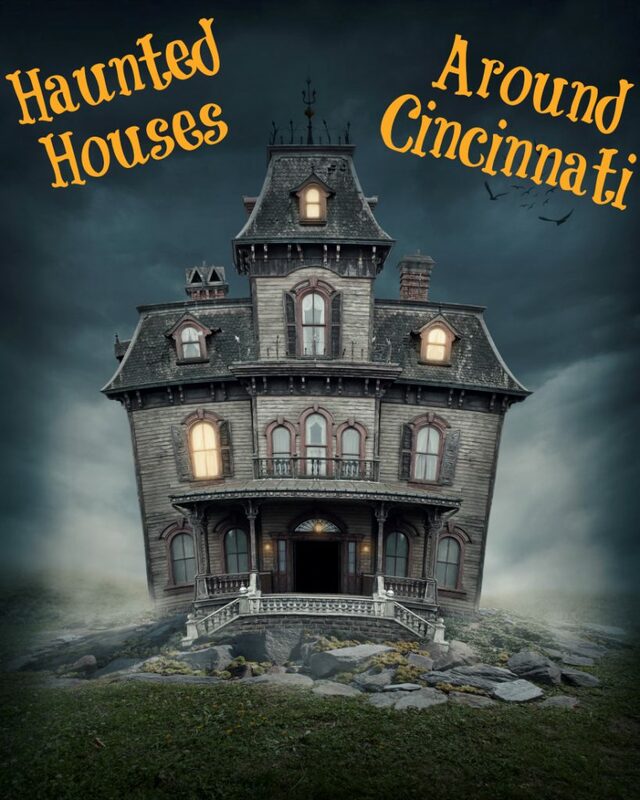 Whether you are an experienced haunted house attendee or a newbie to the haunted houses around Cincinnati, these five attractions should surely keep the hair on your arms rising while you enjoy the magic behind haunted houses this Halloween season. Take note that you should visit their website before attending, especially if you have younger children. Be certain all attractions allow children and that your children are old enough to handle being scared. These five haunted houses around Cincinnati will keep you close to home while enjoying something you love, being scared out of your wits!